What is the time commitment to join a Travel basketball team? Any travel sports team will have a significant commitment associated with being a member of the organization. Generally it can be broken up into 4 different sections. Practice time, Tournaments, Fund Raising and Community Work. Practices- There will be 2-3 practices a week before the first tournament with generally one of those practices on a weekend day. When the tournament season starts, practices will be limited to 1-2 a week depending on gym availability and whether or not there are tournament games on Friday. Practices are scheduled for 2 hours. Tournaments- Expect at least 8-10 tournaments from March through the first 2 weeks of June so about 2-3 tournaments a month. Nationals are usually in July if we qualify and usually last 3-5 days. About 75% of the tournaments start on a Friday and we won’t know whether we have a game or not until Tuesday or Wed of that week once the schedule is released. Depending on our performance, expect to play through Sunday. Fund raising – Most of our fundraising will be done before the tournament season starts and may requires a 2- 3 hour commitment on several weekends leading up to the season. These are great times for the team to bond and get to know each other better. We are currently putting a list of several fundraising activities together for the upcoming 2017 season. Community Work – Through the Space Coast Fury Gives Back Program, we encourage our players to participate in several events planned through out the year to give back to the community that supports us. The time commitment can be anywhere from 2 – 4 hours 5-6 times a year. More to come as the season gets closer. How do I choose the right travel team for my daughter? Assuming that the parents and the Student-Athlete are willing to make the time commitment, choosing a travel team can be a little easier. Here are a few questions to consider. As a parent, what are your expectations from a travel team? How closely do those expectations match with a travel team in your area? How much do you want to pay, not just monetarily, but also the time investment? 1. Do you want to travel to multiple states or stay more centralized in Florida? Florida has at least 3 to 4 different tournaments scheduled almost every weekend from March through the end of May. Between AAU, USSSA, YBOA and NCAA Certified Live events, there are plenty to choose from. Going to other tournaments outside Florida will not guarantee any more exposure for your daughter than playing in well attended AAU/USSSA and NCAA Live event in Florida. Some popular out of state tournaments attract hundreds of teams - thousands of players. Ever heard the phrase “Finding a Needle in a Haystack?” Unless your daughter is a marquee player, it may be difficult to get her noticed at such a large tournament. 2. Does the travel organization have opportunities for the student athlete to pursue a college scholarship whether through tournament play or through the relationships that the program has with college coaches and recruiters? Don’t fall into the trap of an organization “promising” your daughter a scholarship by joining their program. Only your daughter can decide if she wants to put in the effort it will take to earn a college scholarship along with supportive parents and coaches. It is not easy even with the best coaches. Playing in a higher number of tournaments will increase exposure but only if she plays. Some top tier teams are filled with Division 1 college talent but not all of them get to play and they usually leave to join another organization to increase their playing time. (see #5) In addition, coaches with many years of experience have developed relationships over time that can benefit some student athletes who have the ability to continuing playing at the next level. 3. What is the cost to join the organization? Will there be fundraisers to offset the expenses of the travel organization season? These vary from organization to organization based on the number of tournaments they schedule, gym fees, cost of equipment and whether or not the coaches are paid a stipend. That cost can be around $500 for the season. At SCF, all of our coaches are volunteers with several of them having daughters participating in the organization. SCF has fund raisers planned to help offset costs associated with joining the organization. We are also sponsored by Under Armour and receive discounts on uniforms, equipment and shoes as much as 40%-50% off. SCF is one of the few, if not the only, girls travel basketball organization that offer a play as you go monthly tournament plan. So, you only pay for the tournaments you will be able to participate in. (We do require a commitment of at least 70% of the tournaments). 4. Are the coaches experienced? Have any of them coached or currently coaching at the Collegiate, High School or Middle School level? This is not a make or break issue but it does help if some of the coaches have experience coaching at the middle school or high school level. 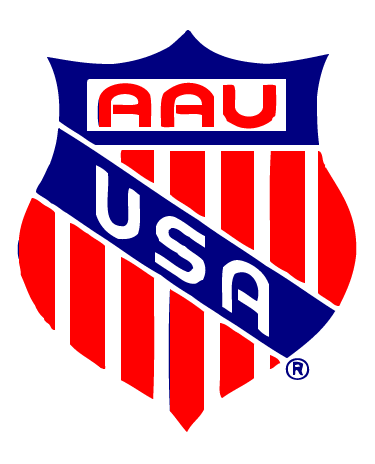 AAU Travel ball experience is also important as they are generally already familiar with the grind of travel basketball. Do parents have to travel to all the tournaments? As we try to encourage parents to travel to as many tournaments as possible to support their daughter and her team, we realize that some parents work weekends and have other financial constraints that may inhibit them from traveling and watching all the games. We recommend, if your daughter is traveling to a tournament with another parent, that you communicate with that parent and help offset the cost of them chaperoning for the weekend such as giving your child money for food and $20 - $25/night for hotel room cost. Also, depending on the amount the team is able to raise through fundraising, these costs can be minimized. We will also be posting updates to games on social media (Twitter, Facebook and SCF Website) so you can still feel connected even though you are not able to attend the tournament.